A new rumour is doing the rounds in filmnagar about V.V. Vinayak. Apparently, this star director is going to turn producer for a string of medium to small budget films. 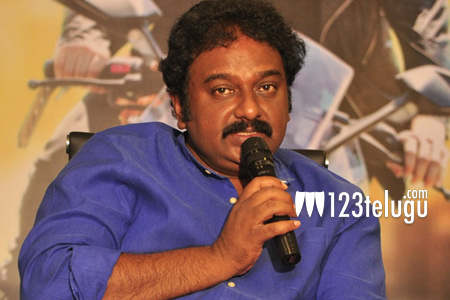 Vinayak is a financially sound director and this news is not surprising. Vinayak’s next film is Chiranjeevi’s 150th and the production venture could begin after this project is over. The news has not been confirmed by Vinayak. This star director has been keen on exploring different ventures apart from direction for quite a while now. Vinayak enjoys a very good rapport with almost everyone in the film industry. So it will be interesting to see who gets to work in his maiden production venture.